If a tooth has been traumatized in any way (bruised or possibly cracked from biting something hard), it can become sensitive to pressure. Occasionally, this can even be caused from having a tooth filled, or from a cleaning. This kind of sensitivity can take from a few weeks to a few months to go away. Shifting teeth or a change in bite can cause sensitivity due to teeth hitting each other too soon or to hard. Shifting teeth can be the result of thumb sucking, bone loss, or teeth moving to fill the space of an extracted tooth. The sensitivity can be addressed through bite correction. Tooth decay can result in the exposure of the nerve of the tooth, making it sensitive to hot, cool, sweets or acidic foods. 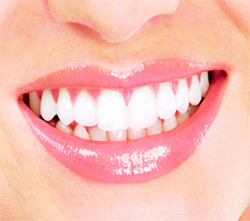 Removing the decay and filling the tooth is the solution in this instance. Extreme sensitivity can be an indication of an infection. Tooth infections can also lead to serious health issues, and require treatment to clear them up. Exposure of dentin, the inner layer of the tooth, is the most common cause of tooth sensitivity. Dentin tends to be exposed either by the erosion of tooth enamel or gum recession. We’ll look into dentinal sensitivity in more detail in our next post. Again, if you’re experiencing sensitive teeth, don’t put off seeing a professional. Our Sidney, OH area patients should consider talking to Dr. Van Treese about their oral pain.